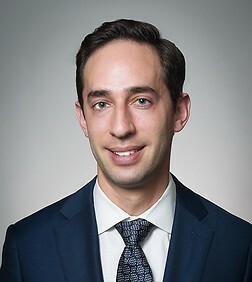 Matt Silverstein is an associate in the Corporate Group in the firm's New York office. Matt provides legal and strategic advice to companies and private equity funds in domestic and cross-border transactions, including mergers and acquisitions, private equity investments, joint ventures, divestitures, restructurings and day-to-day legal and commercial matters. He also advises emerging companies on financing and general corporate matters. Matt counsels clients through all stages of the deal process, including drafting and negotiating letters of intent, stock and asset purchase agreements, merger agreements, shareholder and joint venture agreements, venture capital financing documents, confidentiality agreements, escrow agreements, disclosure schedules, due diligence reports and corporate governance documents. His practice encompasses a broad range of industries, including the pharmaceutical, personal care, apparel, eyewear, camping, information technology infrastructure, news media, real estate marketing, mortgage servicing, property management, construction, interior design and hotel services industries.